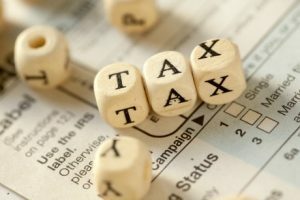 How Much Tax Will I Pay On £100 Earned? There’s an old saying; “There’s nothing certain in life but death and taxes.” Nobody likes paying taxes. Every month when we get our pay slips we look at the deductions column and grumble; what more could we do with our lives if we could keep that 22% of tax money? Well here’s something else to grumble about: for every £100 you earn you actually pay £64.88. You get to live on just £35.12 when the Government has finished taking its whack. It’s almost unbelievable? If you added up all the money you pay in taxes for the year you would actually work from New Year’s Day until May 24th – a whopping third of the year – just to pay your taxes. You’re taxed if you do spend money. You’re taxed if you don’t spend money. You’re even taxed in your sleep! Would you like to know just how many ways can the Government tax you? When you get paid, the Government takes 22% off you in Income Tax or 40% if you’re a higher rate tax payer. So of your original £100, £78 is left. But it’s still not completely yours. You might put aside £3 for Council Tax, £2 for Road Tax and £3 for the VAT on our utilities bills, which is charged at 5%. You have £70 left out of your original £100. But it still isn’t completely yours. You pay 4% tax on the insurance premiums for your property and possessions – about £4 – taking you down to £66. Finally, it appears that the £66 is all yours to do as you please with. Er…no. Not yet! Let’s say you decide to go out for the evening. You put £16 worth of petrol in the car and drive to a restaurant, where you spend £15 on a meal. On the way you buy a packet of cigarettes for £7. After your meal, you go to the cinema and pay £8 for tickets for the latest blockbuster. Later on you fancy a drink at your local and you spend £9. How much in tax has your evening cost you? The AA reports that a staggering 85% of the cost of petrol is pure tax. Your meal and cinema tickets will have been taxed at 20% VAT, adding another £4.60 to the Government’s purse. Around 35% of the cost of alcohol is tax so your £9 round of drinks has automatically added £3.15 to your growing tax bill. But what about that £7 packet of cigarettes you just purchased? Those 20 cigarettes are actually worth a minuscule 77p, because the tax you pay on them is an astonishing 88.9%. No real surprise the Government doesn’t really want smokers to quit given they’re such a cash cow for them. But there’s one loud voice in favour of taxes that many of us don’t hear – the European Union (EU). The EU ‘loves’ taxes, so much so that it wants to ‘harmonise’ them, which is a shorthand way of saying that they believe the UK, one of the lowest taxed communities in the EU, should be paying as much as them! And do you know out of all the tax you pay £11 goes to the EU, effectively paying an organization that wants to make you pay more income and purchase tax and be poorer? We’ve already had to stomach a 2.5% VAT increase from 17.5% to 20% – what next? Short-term all this tax makes us grumble and feel annoyed. But it’s long term that it causes the most damage. Paying so much tax on everything will have a detrimental effect on your life and the lives of your children and grandchildren. Instead of spending 40 years of your life building a secure future for your family you end up working to keep the tax coffers healthy instead. MP’s expenses, bank bailouts and nationalisation of failing businesses thanks to carelessness, over-spending and sometimes plain old cheating, your hard-earned money goes towards covering it all. You just couldn’t make it up could you?